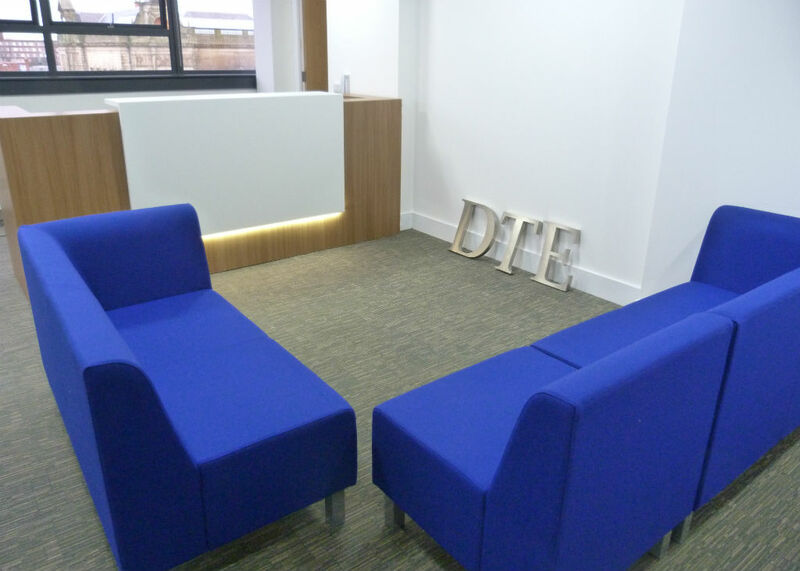 We were approached by DTE who had been quoted for furniture by a couple of other large furniture companies but they felt that the prices were more than they wanted to pay and had been recommended to ourselves. 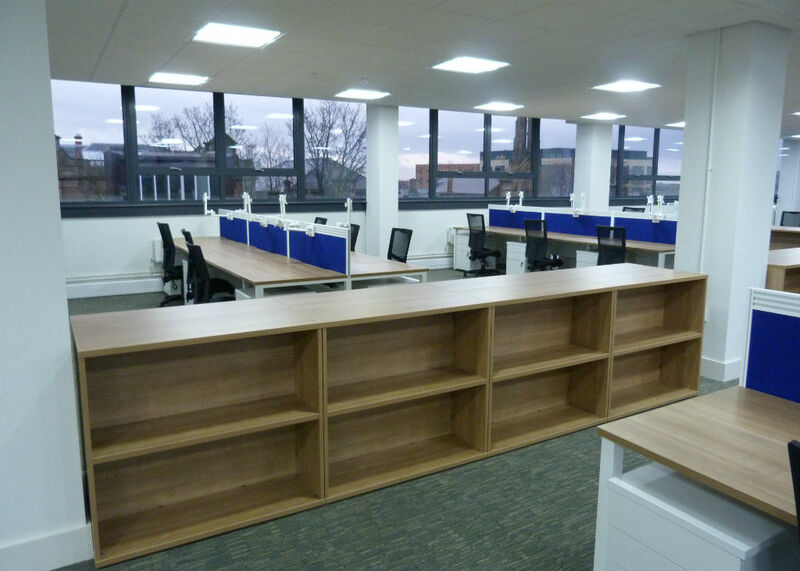 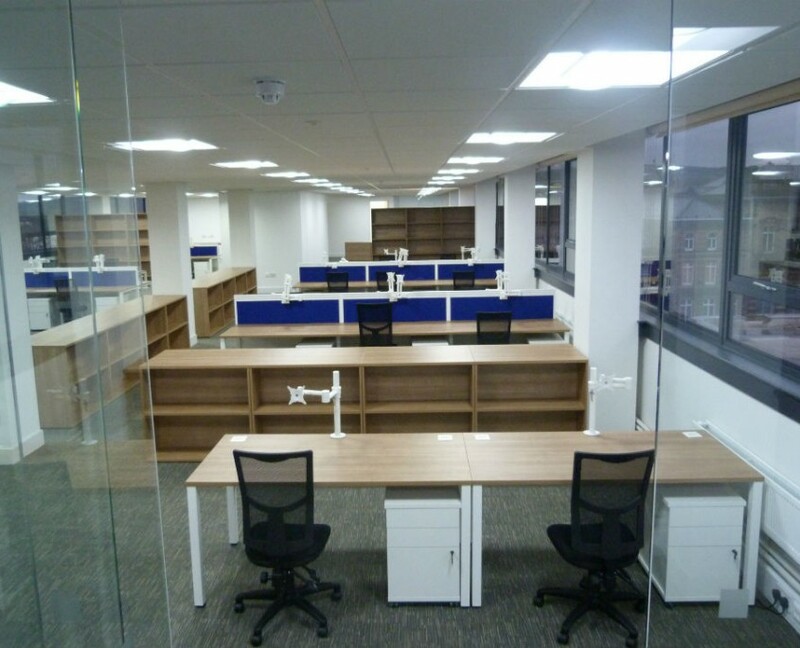 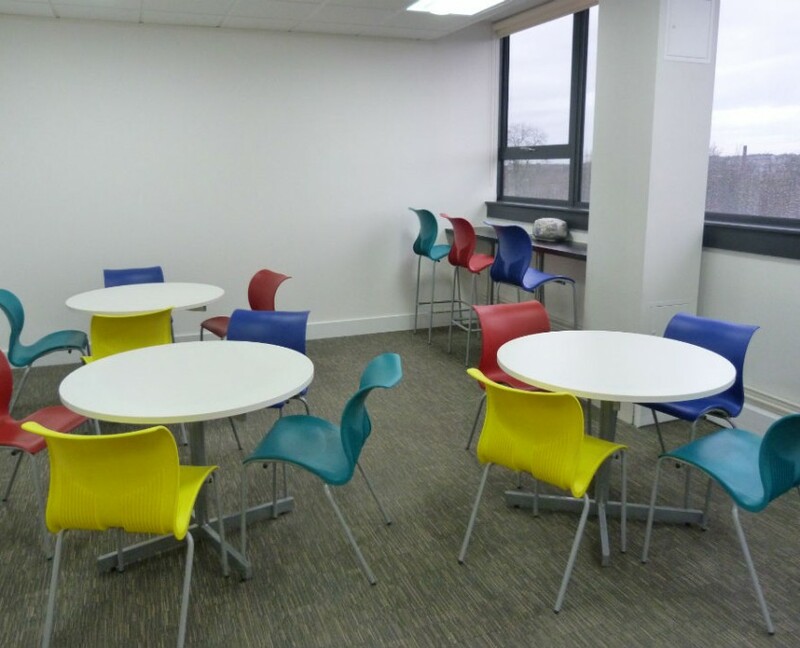 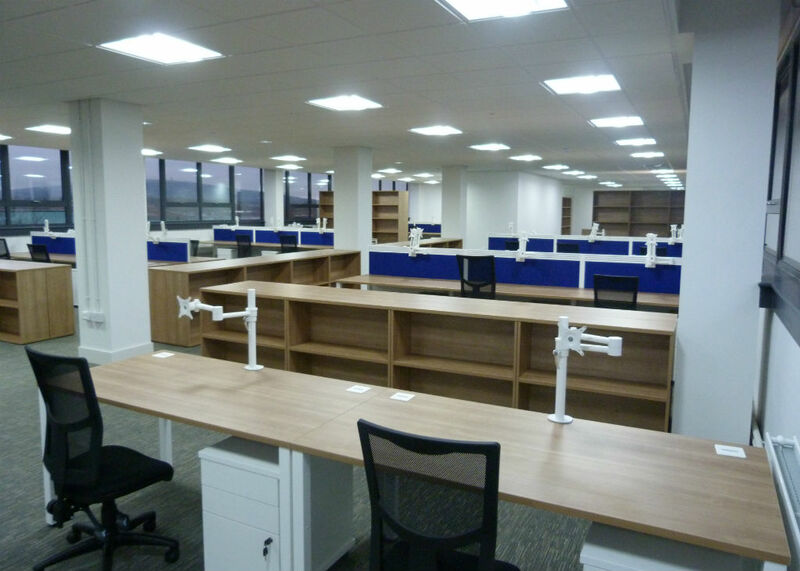 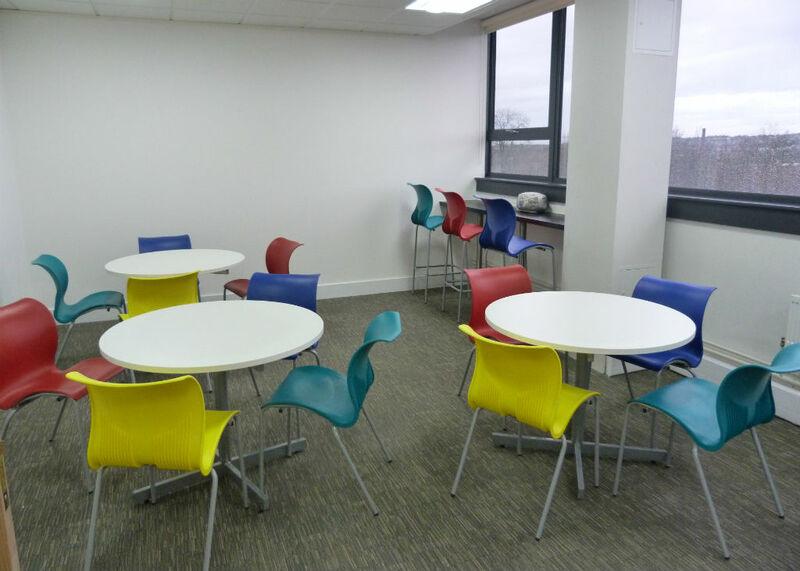 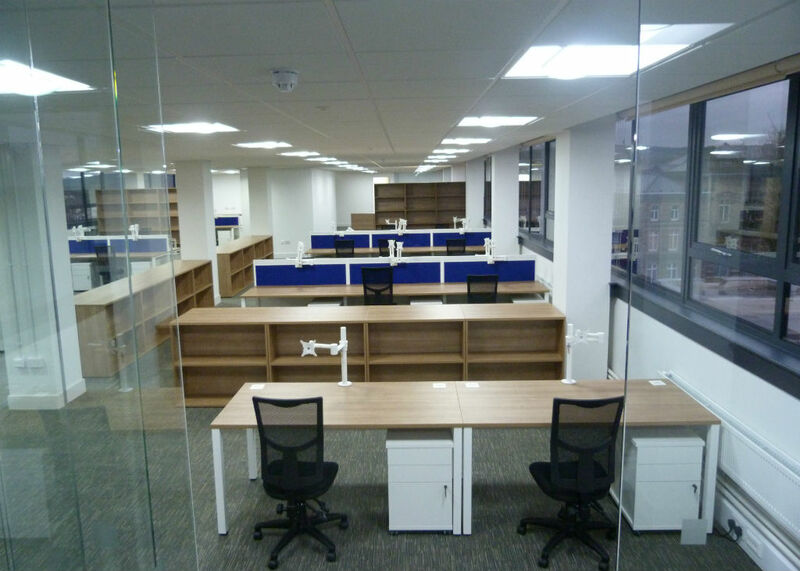 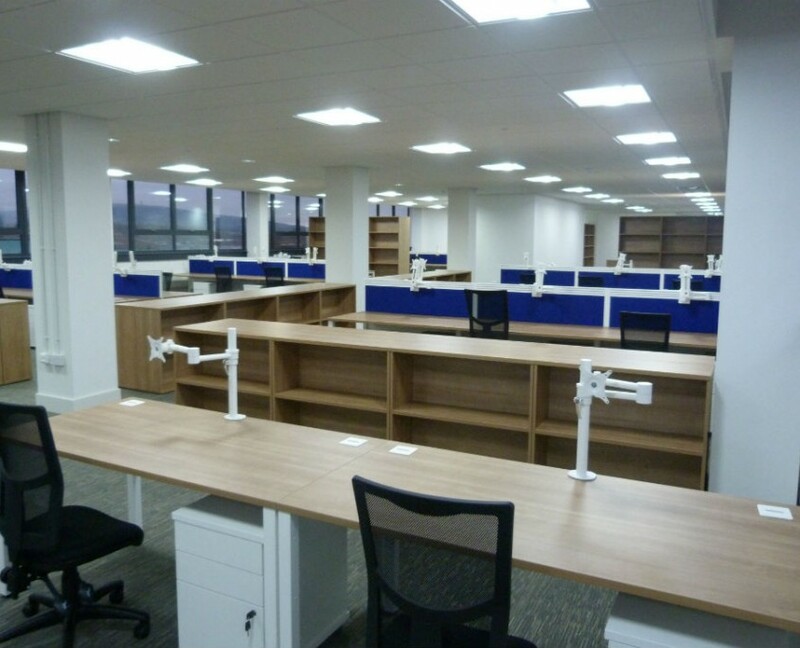 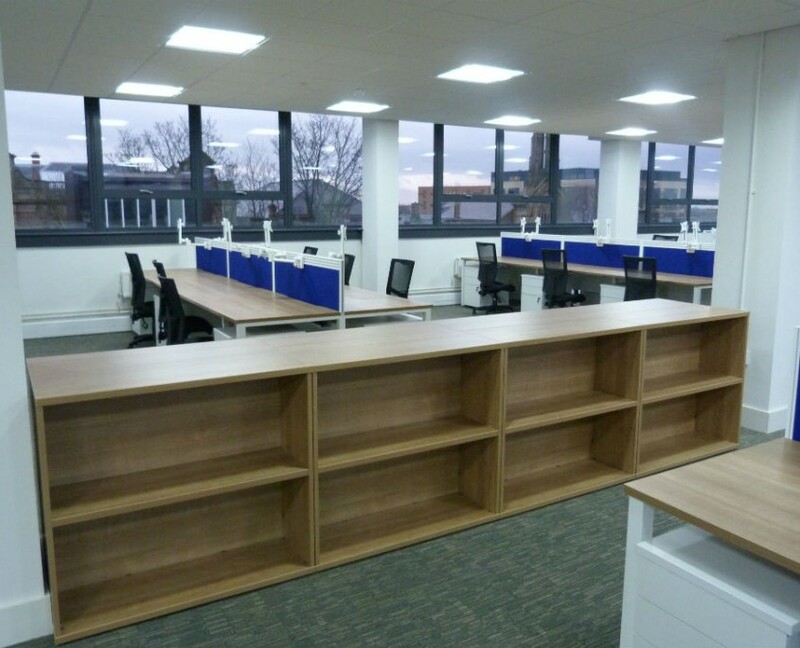 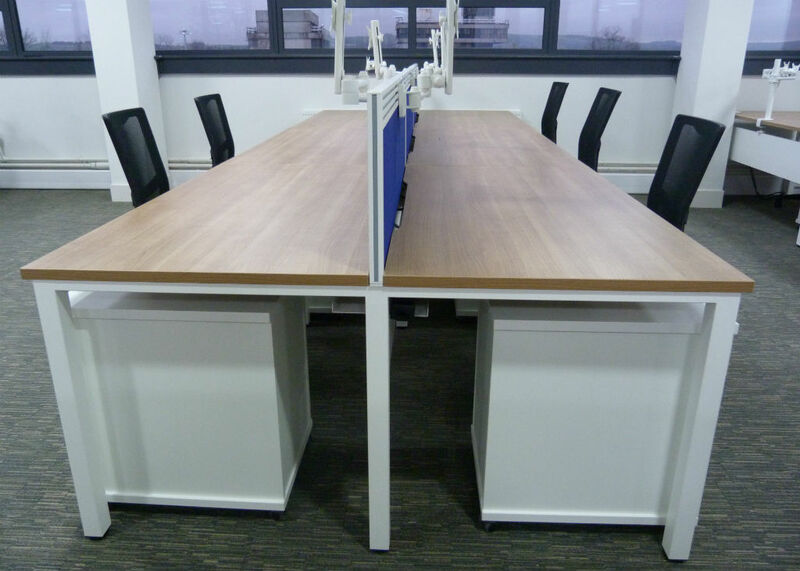 We were given the remit for their new offices and put schemes together on a couple of different office furniture ranges which were both affordable and aesthetically pleasing. 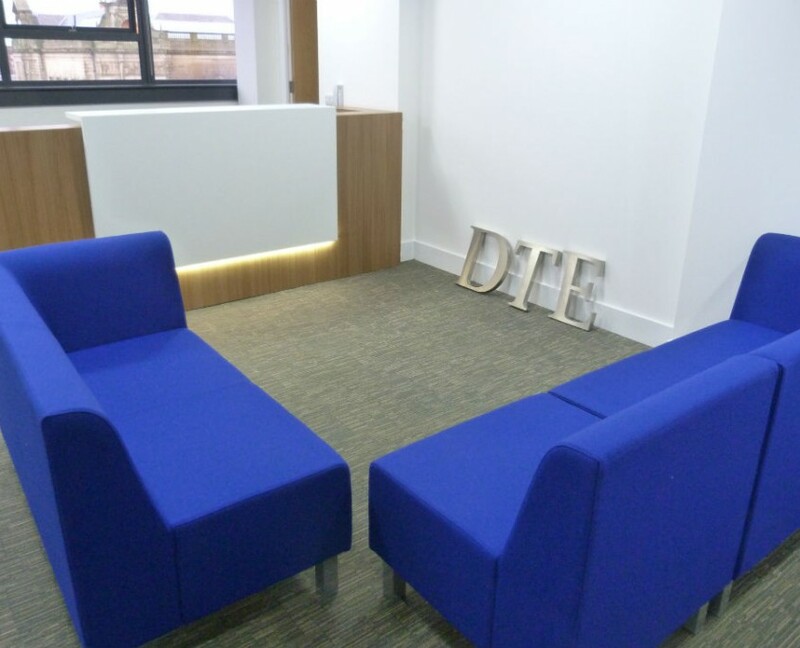 An Italian white and caneletto walnut reception counter with LED lighting gave the first impressions from Quadrifoglio Officity Z2 range and Elements reception seating in dte blue fabric. 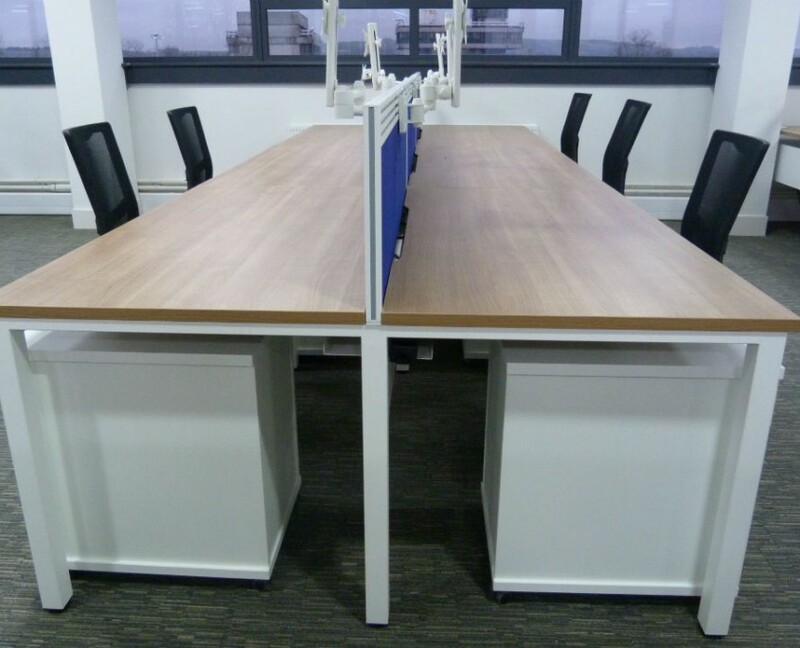 Pure bench desks were used in the general office in Santiago cherry and white with white triple tool bar screens in blue fabric so that monitor arms could either be attached to the screens or desk tops as required, black mesh back operators chairs were used and colour added to the cafeteria area with Bahia chairs in a variety of colours.